I bought an iMac a couple of years back. I bought into the Apple aura, that the products were superior and so worth extra money. They are not. My iMac performed just like a PC. It required some different muscle memories to control it. These differences were not improvements. Apple is the product of a fabulous advertising campaign that reaches us on a deep psychological level. All of the supposed advantages of Apple products over PC’s are merely the result of psychological suggestion. We pay hundreds more for a Mac that performs exactly as a PC. Then we convince themselves that it was worth it because none of us is susceptible to advertising. Right? I did everything but that last part. I am back on a PC now, and happy to be there. TV has three primary purposes: pacification (occasionally interspersed with agitation), political indoctrination and advertising. We are inundated with advertising, of course. The industry spends hundreds of billions of dollars every year to reach us, and they do not throw money at the wall hoping it sticks. Every ad we see is built around psychological suggestion. We are allowed to think that advertising does not work to conceal that fact that it works really, really well. Our existence is defined by advertising. Advertising is so potent that it ought to be illegal. At the very least, we should teach advertising resistance in our schools. We don’t, of course. That would be sacrilegious, even un-American. Advertising creates unhappiness, as we tire of old products and seek new ones. That is the job of advertising: to make us unhappy. What triggered this line of thought was an interview that I heard yesterday with Eldon Taylor, about whom I know nothing and who mentioned matter-of-factly at one point that after perhaps five seconds in front of a TV, we are in a mild hypnotic trance. That would explain a lot – not just advertising, but our political and historical attitudes too. So much of what we believe to be true is fiction, and easily shown to be so. The things we believe to be true, whether it is our founding myths or daily “news,” even though mostly false, but cannot be shaken. Something as easily punctured as the Boston Marathon bombing is held sacrosanct not because what we saw actually happened, but rather because we “saw” it on TV. We were both traumatized and suggestible, and so the official explanation of those images became our reality. Television sets are arms that reach into our homes and minds and control our thoughts and behaviors. They have hypnotic power, and we behave and believe as instructed. I am going to do this one more time just for shits and giggles, as I marvel at it’s potency. To the right here is a jet airliner crashing into the World Trade Center on 9/11/01. Look carefully. It is absorbed as if it were a diver going into water. It meets no resistance. It is CGI. It did not happen in reality, only on TV. Had that event been real (assuming aircraft could even fly at that speed at ground level) the result would have been an explosion, some damage the building, and a mass of falling debris. The force exerted by the building on the plane would have caused it to break into a million pieces and fall to the street below. Forget about the politics of 9/11, our need for new and better wars, and think of us on that day as we were: Caught off guard, shocked, traumatized, and highly suggestible. In that state they could have told us that Santa Claus hit the building in a sled and we would not have questioned it. Instead they gave us the image on the right. 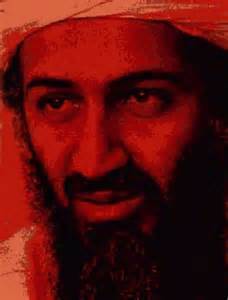 The man, Usama bin Laden, was an American intelligence asset, a tool. He was kept on a leash and used at various times for military operations, primarily in Afghanistan in the 1980’s. On this day, his image was fed to us while we were in our traumatized state, and he became the personification evil, the enemy. Thereafter, the Military Industrial Complex went on a blood rampage, and every bomb they dropped, every innocent they killed, was that man to the right. The image was a psychological archetype, a focus for our hatred. When the image lost its potency, they “killed” it even as the man himself had died shortly after 9/11. None of my words above matter, by the way. I am describing reality, but your beliefs are controlled by the images and suggestions of the tube. Normally they are fed to you in an orderly and subversive manner, daily repetition used to its highest effect. Now and then they like to bludgeon us. Those beliefs fed to us in our bludgeoned states are unshakable, so that when you look above at the impossible event above and the man we so hate, you will believe. You will not be shaken. It was on TV. It was real. That is power. It is more than thought control. It is control of your reality. Still using your iPad? Or have you switched over to an Android-based tablet, too? iPhone or Windows-based phone? For someone who has minimal needs for a computer, say web browsing, email and word processing, the type doesn’t matter. Mac, PC, they all do this well. When you get into the nuts and bolts of a business that is computer-dependent, say graphic and/or web design or video/music production there are many benefits to using Macs. TCO (total cost of ownership) of Macs in many environments is much lower than a WIndows-based computer. Sure, people can do the things I suggested on a PC with professional results, and many do real well. But when it comes down to time spent fiddling with the computer and all its faults vs. being productive in the office (think billable hours), the Mac wins hands down. This is my professional observation over the last almost 30 years of production and consulting work. I know this because I have made a career of using and supporting Macs in business and creative endeavors, not because I watch TV or am suggestible to advertising — I don’t watch commercial TV, nor listen to commercial radio, nor was I doing so when I chose a Mac as my first computer in 1987. Oh, and Neil Young? I don’t think I’ve ever been told on TV that he is a great musician. Actually, I started listening and enjoying him when I first heard a Buffalo Springfield album in the 60s. I don’t that I would classify Neil as “a great musician.” Jimmy Page and Eric Clapton are great musicians. Were Johnny Cash or Pete Seeger great musicians? Being a significant presence in the music field is more than being a great musician. A song writer can be a poet. A lyricist (much in the same a jingle writer can evoke brain activity) does more than make eardrums vibrate. Rhythm is more than something you can tap your toe to, A jazz phrase is more complicated than a rock or blues riff, but is it more musical? Classical music is vastly more complex than folk. Are classically trained performers like a Yo-Yo Ma better musicians than the primitive style of playing than a John Fahey? Sure, TV like MTV and all the rest are influential in picking the winners in pop or country music. Rap, hip-hop and the like is as much about the video as the audio. So, using Neil Young and Macs to get to your conclusions about 9/11 is thin. Using the evidence you show, on the other hand is persuasive. And yes, much of American news and cultural and product beliefs is tied to a TV-oriented persuasion. But don’t let your anecdotal observations fool you to think that the instance validates a generality. Ever since I took a music class in college back in the 1980’s, people have told me that Mac’s are the computer for music. Our son is in advertising, and says that Macs are the computer for graphics. I don’t know why, but that is why. 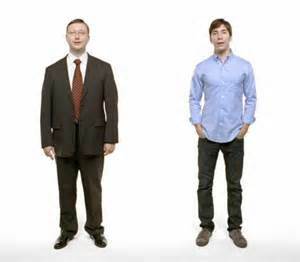 But from a performance standpoint in 95% of all appreciations applications, Macs and PC’s are alike. I listened to Neil Young. What I hear is not to my taste. The voice grates on me. What can I say – music is subjective. Johnny Cash I think, because of his voice, is a great. John Lennon, great. It’s all personal. You need to read McGowan about Laurel Canyon however, Young comes off well, as far as I can tell, as does Brian Wilson and a few others, some genuine talent, but the rest were part of a PSYOP, as McGowan tells us, and became popular through mass persuasion and suggestion and of course, the Wrecking Crew. By the way, the red line is on the GIF of the plane entering the building is there because even as the camera is sweeping, the plane should remain stationary in relation to the building. The movement of the building in relation to the plane is just poor CGI. That’s another clue. And the generality? That people are suffering from mass delusion and illusion? I don’t need to go far. I can just travel on over to Pogie’s for a small dose. You? Jesus. There were like 50 typos in that. Yeah, I need to read McGowan’s book. I couldn’t find an ebook, except for Kindle, and I don’t read Kindle… haven’t seen a hard copy at the bookstore yet. As to counteracting propaganda (and all the 9/11 whitewash is propaganda), evidence-based dialog, while essential, will never sway someone who isn’t interested in getting past the prop. People are sheep, and easily herded. History on the other hand, has the opportunity to get to the bottom of the story. And as with JFK, the story is finally coming out a bit at at time, after 50 years. Too late to do much to prosecute those who conspired, but still informative about how business is still being done, and will continue to be done. And Pogie? He’s gone off the deep end being self righteous with his one-man indignations against republicans. He’ll never get beyond his partisan politickin’ long enough to ever see more than a microcosm of geopoliticks. I am more than happy to send you my copy of McGowan’s book when I am done, later this week. Just send your mailing address to me and I will media mail it. It’s not one that needs to sit on my shelf collecting dust. It’s a fun read, that’s all. The dates aew so interesting – JFK gunned down in November 63, Tonkin in Auugust 64, and the “Hippie” movement along with all of the intel-related musicians all flocking to LA from ’64 forward. Jim Morrison’s Dad was admiral on a a ship at the center of the Tonkin incident. Zappa, Stills, Crosby, Baez, Fonda*, Fonda and so many others have parents in intelligence – not just military, buy military intel. I think McGowan is on to something. I don’t have any illusions that people will suddenly come around. I am tempted to blame the American people for all of this, as they allow it all to go down without resistance. *Jane set the peace movement back ten years with her shenanigans in North Vietnam – how could she (and Hayden) not know this? The same way you didn’t know it either, when you were her age at the time. Even more intriguing, the same way the generals in North Vietnam who helped pose the picture didn’t know it. Why did they want to set back the US peace movement 10 years?